Our range of ChfBurger products continues trotting along the Peninsula presenting the successful range of Premium hamburgers. 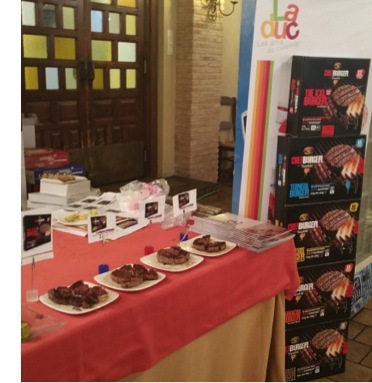 This time Eurofrits participated in the Fair organised by Viñolo Gourmet in Mota del Cuervo (Cuenca), once more in collaboration with LADUC (Les amics du Cuisinier – Alvilardan, S.L), a company specialized in the distribution of ready to go last generation food. 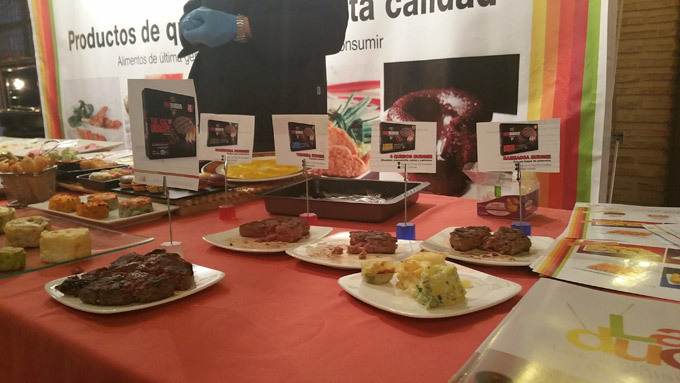 Aside from the already well-established hamburgers, we also presented the grated and mini-grated potato dishes in its different varieties: Cheese & Cream, Italian, Broccoli and Mushrooms.